It’s only a week to go until the Liberal Democrats’ Spring Conference in York and one policy motion in particular, has me quite animated. It’s the policy motion regarding faith schools and the role they should, or shouldn’t play in our education system, moving forward. Those of you know me (and for those of you don’t), ought to know that religion is something I dedicated five years of my life to studying at university. 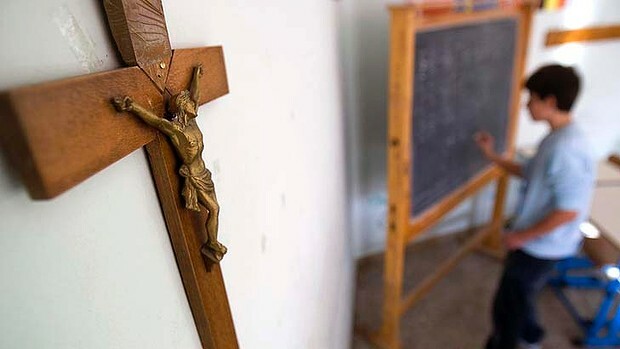 It’s something I feel very passionately about and am dismayed when I learn that Religious Studies (or Religious Education as some call it), is not offered or taught as a single subject in schools. The policy appears to be divided into two main parts: the first deals with securing RS’ role in state schools and its inclusion on the Lib Dem’s proposed ‘slimmer National Curriculum’; the second deals with the role of state-funded faith schools. I don’t need to explain why I fully support the first part of the motion, but I need to explain why I support the motion’s ‘Option A’ when it comes to faith schools. Ensures that selection in admissions on the basis of religion or 66 belief to state-funded schools is phased out over up to six years. Finally. Something in writing from a political party that deals with the atrocity of state-funded faith schools. I’m a Christian; I’m a theologian; I worked in education for three years. Many people would think that I’m somehow in favour of faith schools, but I’m not. The bottom line is, no school that uses public money, should be able to discriminate against employees and/or students based on their faith or religious beliefs, no more so than they should be allowed to cherry pick students based on their academic ability. The Liberal Democrats have already come out against grammar schools on the grounds that academic selection is wrong; so too is religious/faith-based selection. I’ve had a chequered past regarding faith schools. At the age of 11, having recently moved 70 miles away from my father after my parents divorced, I was refused a place at an Anglican school in Harrogate, despite that’s where the few friends I had made during my final year at the local primary school, were going. Why? Because I didn’t attend the local church and have a reference from the pastor there. At the age of 21, I went for an interview at a Catholic school in Harrogate for a teaching assistant job. During the interview, I ended up engaged in a heated theological debate with the Chair of Governors over what it was to be Catholic. The question I had initially been asked was how I would uphold the Catholic and Christian ethos of the school. My reply, I thought, was fairly well-considered, as I explained that having a degree in theology made me fairly well-placed to understand the beliefs and values of Catholics. That didn’t go down very well, as I was told that a degree wasn’t anywhere near good enough to understand the Catholic way of doing things, as I actually had to be a Catholic. Needless to say, I didn’t get the job. Not only do faith schools discriminate based on faith or belief (as has been demonstrated above), but I believe they also have a negative effect on other non-faith state schools in the local area. Let’s take Harrogate again as my example. Excluding Harrogate Grammar (which isn’t actually a grammar school), the top two schools in the area are the faith schools. In Scarborough where I currently live, the top school in the area is a Catholic school. This may only be two small examples but my argument is this: faith schools perform better than non-faith schools and because they discriminate against students based on their faith, they in turn, deny them the right to what appears to be an excellent education. I’m not saying that non-faith schools are bad schools, of course they aren’t! But in principle, any selection that is funded by the state is wrong. All students regardless of their ability, faith or socio-economic background should have the right to the same standard of education as anyone else and this is not achieved by selection in schools. If the Lib Dems oppose grammar schools we should therefore oppose state-funded faith schools. They should be a thing of the past and I sincerely hope the policy motion, along with Option A, is passed at Conference next Sunday.